These albums represent the worst and best of corporate U.S. Rock. Following a huge selling album is never an easy task, more often than not involving a below par, hastily written and recorded set of songs the artist is pushed into immediately after a lengthy tour. Very occasionally a ‘Grand Illusion’ will be followed by a ‘Pieces Of Eight’, or an ‘Escape’ by a ‘Frontiers’, but you’re more likely to get an ‘Agent Provocateur’, a ‘Tusk’, or in REO Speedwagon’s case, ‘Good Trouble’. Again working with co-producer Kevin Beamish, ‘...Trouble’ was an attempt to recreate the commercial first half and Rockier second side of the phenomenally successful ‘Hi-Infidelity’, the problem being that Kevin Cronin wasn’t in a good place and still maintains to this day that they should have used their success as a bargaining tool to buy more time. However, it wasn’t really his fault as three of his four songs are among the strongest on the record, with the catchy U.S. hit ‘Keep The Fire Burnin’’ following a familiar blueprint alongside the upbeat ‘The Key’ and the straight Rock and Roller of a title-track. Guitarist Gary Richrath on the other hand missed the mark with the bland ‘Every Now And Then’ and the acoustic-based ‘Back In My Heart Again’, although both ‘I’ll Follow You’ and ‘Stillness Of The Night’ were much better and dripping in Neal Doughty’s great piano work and some dynamics that even impress through the top-heavy mess of a production (Beamish would leave before the end to work with Starship, for which he’s never been forgiven!) For once bassist Bruce Hall provided two songs, the jangly Pop/Rocker ‘Girl With The Heart Of Gold’, and ‘Let’s Be-Bop’, which has a great riff and isn’t as bad as its appalling title suggests. Song-wise it wasn’t the album they needed to make to stay on the plateau they’d climbed, but it was the production that really ruined the record. Even with the re-mastering it’s hard to hear the contributions of Hall and drummer Alan Gratzer, even though the latter was a co-producer. Thankfully 1984’s ‘Wheels Are Turnin’’ went some way to getting them back on top, producers Cronin, Richrath and Gratzer bringing in top engineer David Devore to help out. The result was a more organic, powerful and warm sounding record that contained the huge hit they needed. They even started the album with an old-school REO Rocker in ‘I Don’t Wanna Know’, Neal Doughty provided a rare song with the agreeable ‘One Lonely Night’ and Hall wrote his best song for some time with the memorable ‘Thru The Window’. However, whilst Cronin was again on a roll with the record’s best tunes - including the great title track - Richrath would only contribute the Pop/Rocker ‘Break His Spell’ on his own and co-write the simple Rocker ‘Rock ‘N’ Roll Star’ and the dramatic ‘Gotta Feel More’ with Cronin and emergent song-writing genius Tom Kelly. Cronin would eclipse everyone else with the huge hit power ballad ‘Can’t Fight This Feeling’ and the album would prove to be one of the band’s strongest, with the earthy production being something that re-mastering engineer Jon Astley could work with. With apologies to fans of ‘Good Trouble’, these albums represent the worst and best of corporate U.S. Rock and ‘Wheels Are Turnin’’ is the only one I can truthfully recommend. 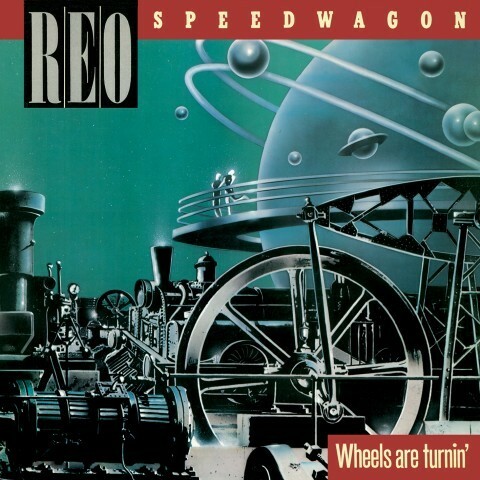 Paul Suter’s sleeve essay confirms that REO Speedwagon’s best song-writer was, without doubt, Cronin, and if he didn’t bring his A-game there was no-one else capable of picking up the baton. 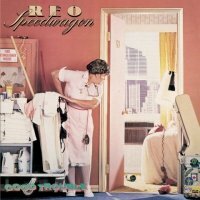 REO Speedwagon has always been a hit or miss type of a band for me. Their must have releases, 'Lost In A Dream' (1974) 'This Time We Mean It', (1975) 'You Can Tune A Piano, But You Can't Tuna Fish' (197 'Nine Lives' (1979) and yeah even 'Hi Infedility', (1980) are chock full of one great rock tune after another. On the other side of the spectrum are the forgettable 'Life As We Know It'(1987) 'The Earth, A Small Man, His Dog, And A Chicken' (1990), 'Building The Bridge' (1996) and 'Find Your Own Way Home' (2007). 'Good Trouble' is way too poppy, happy and god forbid schmaltzy, just oozing with saccharine mush. Just listening to one song after another about love, discovering that perfect girl, and the like is enough to want to make me run away screaming. I agree with Phil 'Let's Be-Bop', isn't too bad, as neither is 'Girl With The Heart Of Gold', and 'Keep The Fire Burning'. 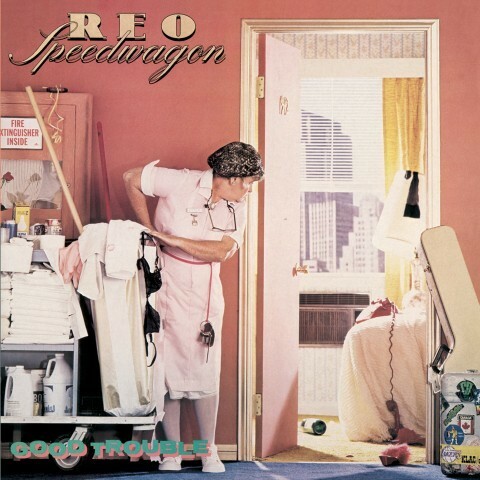 Hate to say it, but listening to Kevin Cronin's voice today makes me have to sadly admit that it has seen better days, but in their prime, REO is one of the great bands that has left an indelible mark on "arena rock." I've seen them a few times in concert (last time was with Journey and Styx) and I still break out one of their classic releases from time to time.